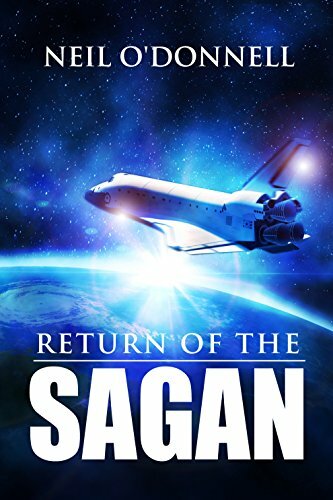 Return of the Sagan follows a bookish young man as he wrangles his crew on a mission to save Earth and humanity. What served as your inspiration while writing this story? 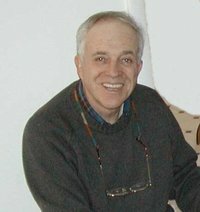 As for the timing of the novel, my beloved Uncle Paul Leary was battling cancer so I wrote the story with him as a main character. He was able to read some of the story before he passed. My writing could never do justice to the lovely man that Uncle Paul had always been. We all miss him terribly. Francis is a book worm that loves to quote his favorite authors. Is this an extension of yourself or did you have to research these quotes? The re-population of some of the world’s endangered animals was beautiful to visualize. What scenes did you have the most fun writing? The mastodons and dire wolfs. 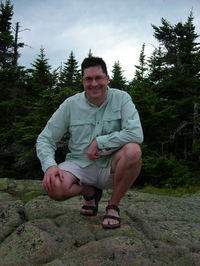 I am a prehistoric archaeologist, and my specialty is in the woodlands of North Eastern North America. The people I studied lived side by side with Mastodons and the only reasonable prehistoric predator to suit the story, prehistory and climate was the dire wolf. After the book was published was when I saw Game of Thrones, a show I adore. I got the first season as a gift and then proceeded to watch the first three seasons over the course of two weeks. I then read the books after. I wish I would have encountered GOT before I wrote my novel as I would not have included dire wolves. I have referenced other extinct species from North America in my books before, particularly giant sloth, but for a predator in SAGAN, I would just conjure up something other than wolves because of GOT, though wolves are prehistorically accurate for the area and dire wolves would really be the only predator to fit the circumstances in the story. I did very much enjoy Francis’ stand on the bridge – total throwback to the Bridge of Khazad-dum. When I was a kid, my older brother Ned was devastated when Gandalf fell in the Fellowship of the Ring. Thankfully he read the next book quickly and was ecstatic to say the least. Gandalf’s stand was just so moving. When I got to the bridge standoff in SAGAN, I couldn’t help but make that connection. Do you think you will write more stories about the crew of the USS Carl Sagan, or continue Francis’s story in some way? I already have plans to write the story of the initial crew of the Sagan that left Earth centuries earlier. As for Francis, I have contemplated his leading the building of a ship and a subsequent sea voyage, but I have many other projects that need to be finished first. 300 years ago, USS Carl Sagan blasted off from overpopulated Earth in search of survival. Returning to Earth, the USS Carl Sagan finds humanity now extinct and Earth populated by deadly, once extinct pre-historic predators. What disaster eradicated mankind? Was it man-made or of natural origin? One thing for certain: survival for the USS Carl Sagan and its crew will difficult at best, as while humans are no longer inhabit the Earth , they left behind deadly machines to guard the airspace against space invaders. The commander and the crew of the returning Earth ship will have to overcome those unexpected fool-proof sentries. And the machines are not the only obstacles for the travel-weary men and women of USS Carl Sagan to overcome. If they want to re-inhabit Earth. In this captivating tale of cosmic design, Angels’ Whispers, author J.F. Cain chronicles the harrowing struggle between two ultimate yet necessary forces, Angels and Demons. As intelligent as they are graceful, Angels have been metaphysically observing mankind for an eternity, lovingly tending to humanity’s journey towards spiritual awakening. The recent advent of free will has brought with it the potential for deviance though, and the balanced tides of spiritual harmony hangs in the balance. As the fallen angel Lucifer schemes to lure society towards the err of self-indulgence, the philosophically pragmatic Angel Aranes, the most superior of celestial beings, must challenge her own age-old wisdom and routines for the sake of serving not just humanity, but all intelligent creation. 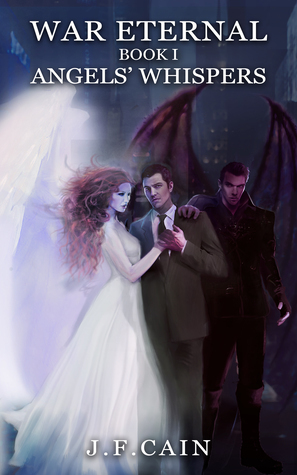 The first title from the War Eternal series, Angels’ Whispers delves into the popular and alluring trope of angelic and demonic forces at constant odds, a concept explored by literature and media since the earliest eras of civilization. Although the splay of archangels and demonic characters may be ancient in a scriptural sense, Cain brings a playfully crisp air into the work, using an intensely illustrative style to make the story feel modern. Main character Alex Meyers is a cocky young entrepreneur, chock-full full of cynicism and self-conflicted inner monolog. He’s as well-intentioned as he is troubled, and that struck me as oddly endearing. Finding himself on the receiving end of an Angel’s attention, he struggles to explore his own convictions, all while being thrust into the throes of the eternal power struggle between these all powerful creatures. In a style oddly comparable to J.R.R. Tolkien’s work, Cain writes densely, wasting no opportunity to develop a particular scene with lush descriptiveness. The grandiose and mystical surroundings of the Elether, the metaphysical plane of the Celestials, is the perfect backdrop for the gorgeous amount of attention Cain has poured into the setting. I absorbed the rich details, easily imagining them with all the vividness of a wide-screen cinematic. This would seriously make one hell of a movie! I loved the intelligent yet candid way that Angels’ Whispers scrutinizes the notions of truth and freedom throughout the book, making use of an enormous splay of theological and philosophical knowledge. It was fascinating to read about the various ideologies of so many influential individuals and cultures in such a condensed form, and I found some of the sentiments to be deliciously thought-provoking! I can’t even recall the last time I had been prompted to explore my own thoughts on religion so earnestly, so I appreciated the casual way that Cain wove that into the story. The intellectual sparring between Celestial beings was enthralling in that same way, and maintained a strong presence through the book. It felt reminiscent to me of the zesty energy of a passionate debate between two best friends – engaged and impassioned, but respectful and surprisingly explorative. Without spoiling anything, I’m still happy to say that this first title sets up beautifully for the next work. 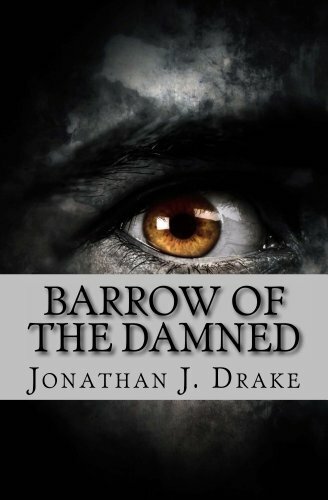 I’d recommend it to fellow readers with a love for the supernatural and philosophical niches. I’m looking forward to the next title of War Eternal, which will surely follow up on the consequence to life’s most powerful forces – love, death, and ultimately, free will. Zurga’s Fire takes place in historical Greece and the rest of the Mediterranean and is broken up into four books filled with short tales of adventure. What was the inspiration for this third book in the Orfeo Saga? The fictional universe laid out by Tolkien in Lord of the Rings was probably the series that got me thinking along the lines of an extended saga. I liked the way Tolkien used ancient sources to create heroic fiction. At the same time I wanted to be more historical like Robert Graves and his series I, Claudius. I wanted to write something that would not be fantastic, and which would not re-tread well known history. The Bronze Age offered scope to speculate. There are few written sources, but what there is offers scope to invent characters and place them in historical context. Zurga’s Fire introduces the issue of nomads and how they impact civilization. I had been researching nomads for my other interest, Oriental carpets. Nomads were very effective warriors, and they could overwhelm sedentary societies. They did have one weakness, and that was leadership. Every group from that lead by Attila to Ghengis Khan eventually fell apart. A charismatic leader is essential for nomads. In Zurga’s Fire the leader of the nomads is eventually undone not so much by a face to face challenge, but by a crisis in leadership. Why did you go with the format of short stories told as a collection? This is a very good question. I really did not think about the format before I started writing the series. 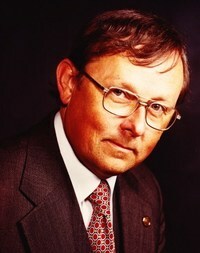 I wrote many short stories over a period of years that were never published. Looking back that was probably a good thing. I always liked reading short stories. I think I have a short attention span. The result is that I am quite comfortable writing short stories and I have structured my Orfeo Saga that way too. Many books in the Orfeo Saga are made up of two different stories which are divided into books. In contrast my other series about a Los Angeles based private eye (the Bart Northcote series) are entire novels. I felt that the characters in this book were complex and well thought out. What was your favorite character to write for? I think that the character I had the most fondness for was “Zurga.” I gave him a rather ridiculous name because the character went by many names. This name suggests that you cannot take the character seriously. Zurga likes to deceive people as to his true intentions, as well as build up a mythology around himself. Zurga realized early on that he would not be fully accepted. No one would ever select him as a leader. In contrast his protege Orfeo can become a leader. Again I was well aware of Orpheus in the Greek pantheon. While Orpheus was a gifted lute player, he is also credited introducing civilization to savages. My Orfeo character has some similarities with Orpheus, but I have taken all supernatural elements away. 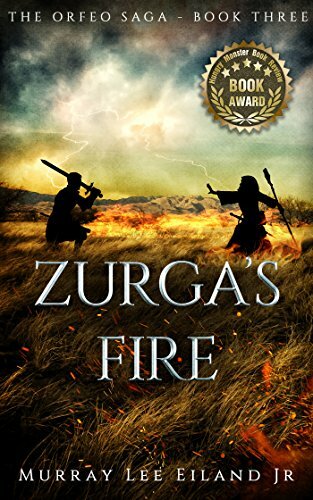 I think of Zurga’s Fire as a historical adventure tale. Did you do any research to keep the setting and characters true? I studied ancient and modern nomads for years. I read about them, their social structure, history, and particularly art. Many of my research trips were to see nomads making textiles, particularly Turkish speaking people. I knew that for the Bronze Age there were not good historical sources, so I filled in the blanks with what I understood from more modern nomadic groups. I tried to capture their lifestyle in the novel, without going into the nuts and bolts of their society. The interesting thing is that the Greeks had recently settled by the Bronze Age. In the novel they were well aware of the kind of enemy they faced. The same pattern repeats throughout history many times. A group settles and then the next group of nomads impinges on them. Every sedentary group has the same choice. They can fight or they can flee. For Zurga’s Fire I wanted to show how the nomads being horse riders and archers had an advantage. Sedentary society, with farmers, had fewer people who would naturally take on a warrior role. They could fortify cities to stop nomads, but that does not always work. That is the tension I wanted to accentuate in the book. What does the next book in the Orfeo Saga take readers? The next book is also divided into two main parts. The first part takes the characters to the New World. There has been a huge amount of scholarly speculation about the contacts between the Old and New Worlds. I think that there must have been limited contact between these two areas, but I am not sure that it occurred as early as the European Bronze Age. However, there was likely early contact. There was a report that a scientist had found traces of cocaine as well as nicotine in Egyptian mummies as early as 1000 BC. I think it is important to look at evidence with an open mind but have a healthy skepticism about big claims.The Orfeo Saga volume 4 has a bit more humor in it than other books in the series. I also thought it was important for Orfeo to take a greater role in his own fate. His teacher disappears during this story. Part II of the book deals with the rise of Sparta. This is not as far-fetched as some people think. Archaeology is pushing the date for Spartan civilization further back in time. I try to post interesting links to the archaeology on my Facebook page. They ruthlessly incorporate conquered people into their society through enslavement, and are prepared to kill those who are not useful to their plans. They have no need for the luxuries of city life. Fighting in troops of mounted archers, they mock individual heroes. Getae have a long history of reducing enemies in deadly hails of arrows while not getting close enough to lose warriors in single combat. Here Orfeo and his warriors must deal with an expanding Getae empire during the heroic age of Greece. Vastly outnumbered, can they stop an invasion that threatens not only their lives, but also their entire culture? At first glance this novel looks like a story taken from the world of Tolkien, you have trolls, mortals, a mystical race of beings that live in the woods, talking animals, and a quest. That, however, is where the similarities end. 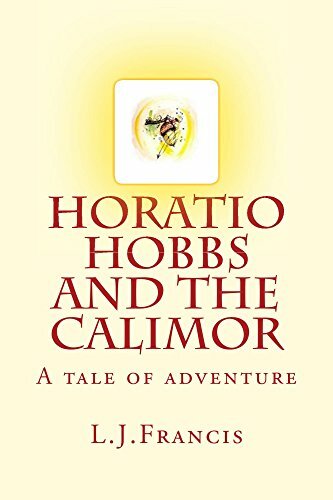 L.J.Francis has managed to create in Horatio Hobbs and the Calimor, a magical world that will appeal to readers of all ages. 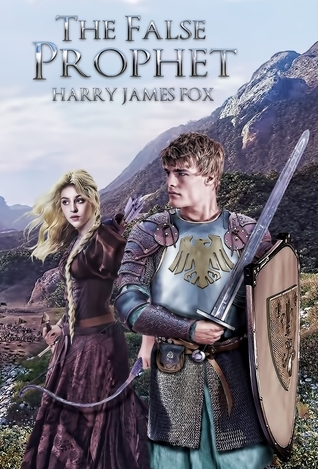 Francis brings in some of the traditional magic and creatures that people come to expect in fantasy novels, such as the trolls and elf like beings, but he turns many of the stereotypes of these fictional beings around. Nothing is as simple as it seams in the sleepy town of Drinkwater and the feared forest of Shadowmere. Horatio is a young boy about to turn sixteen. In the town of Drinkwater, sixteen is when you become an adult to the community. He was raised by his grandfather Theodore Hobbs. You learn in the book that his mother died during child birth, as for his father, well you will have to read the book to find out what happened to him. Theodore Hobbs is a master furniture maker, and excels in his craft. He is known far and wide for his skill and ability to create the perfect item. At the center of this novel is one of his works of art. The mayoral throne. Unbeknownst to Theodore, he has carved this throne from magical wood. The tree that this wood came from is also the source of a magical acorn, the Calimor, that is delivered to Horatio by a fox. This acorn has a magical and devastating story. The epic journey begins with Horatio setting out with his pony Thomas for the mysterious woods of Shadowmere. These woods are dark, thick, and filled with magic. The Bloodeye trolls make their home in Shadowmere. The leader of the Bloodeye, King Bovik, hates the mystical race of Eldrin that live in a protected area of Shadowmere called Celeste. When word gets back to him that Horatio has something from Celeste and is headed there King Bovik decides he will intercept Horatio and get information from him on how to destroy the Eldrin. The Bloodeye’s pursuit of Horatio and Thomas lead them on further adventures and bring them into contact with several interesting characters. One character that I feel offers the most passion and heart is Krunger, the exiled Bloodeye troll. Francis’s ability to portray the relationship between Krunger and Horatio speaks volumes. These two characters couldn’t be more different on the outside but inside share the same goals and passions. The transformation both characters must go through is immense and will pull at the reader’s compassion and provide a renewed sense of hope. Overall L.J. 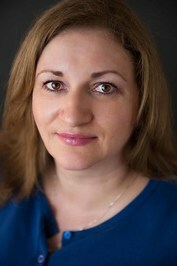 Francis gives readers a new look in the fantasy novel realm. He turns traditional character rolls around and offers a brightened future for the lands he creates. The easy reading style and lack of extreme gore from fighting scenes makes this novel appropriate for young adult readers. 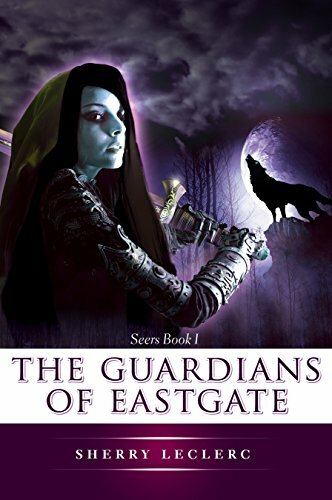 The complex character development and unique plot makes it appealing for adult fantasy novel followers. This book leaves the reader with just enough questions to look forward to the second installment that L.J. Francis is currently working on, but offers a conclusion to the story line in this novel. A well written novel with the promise of more adventures to come.